Tonnes of bottles, cans and other waste littering the street after St Patrick's Day celebrations in St Julian's. Photo: Cleansing Department. More than 15 tonnes of bottles, cans and other rubbish were cleared from St Julian’s overnight after thousands packed the streets for St Patrick’s Day celebrations on Sunday. The massive annual street party is hugely popular with revellers but has been a regular bugbear for residents due to the loud music, flowing alcohol - and the huge mess typically left behind. 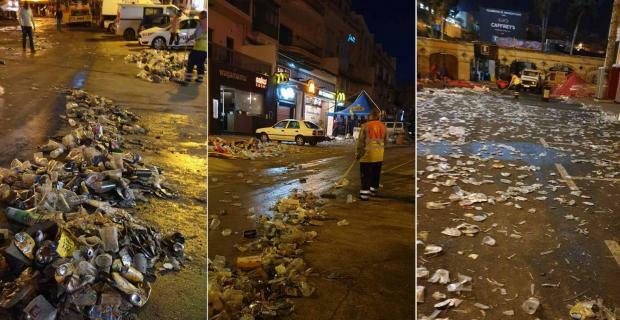 Cleansing department head Ramon Deguara told Times of Malta that workers had already descended on the scene of the festivities by 4am, hours after the party had died down. Twelve cleansing department personnel, together with two mechanical sweepers and a water bowser, worked through the night to ensure all roads were cleaned-up and open to traffic again by 7am, though the operation continued through to Monday morning. Cleansing department personnel and others worked through the night to get the job done. Photos: Cleansing Department. 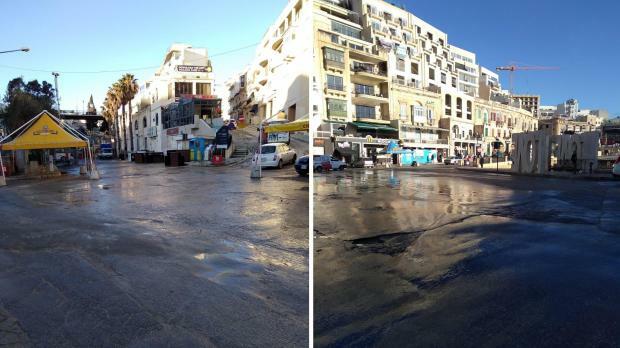 The clean-up represented a joint effort between the Paceville Town Centre Management, the Malta Tourism Authority, St Julian’s local council, police and Transport Malta. Some €2,000 were spent to get the job done, with the St Julian’s local council bearing the cost. 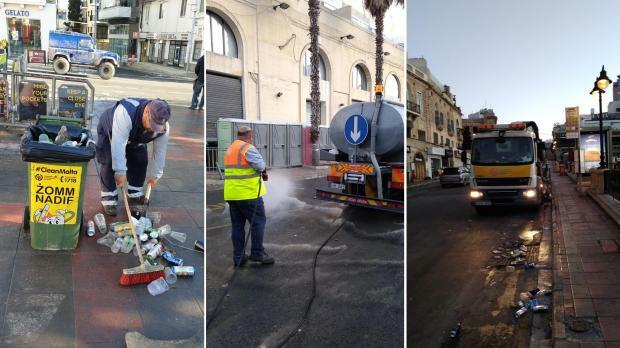 Deputy mayor Albert Buttigieg had previously said the council had brought together bar owners together to share the cost of a street cleaning contractor to clear away the mess. Wardens had also been called in to patrol the side streets and a dedicated hotline was set up to process residents’ complaints. In other comments on Monday morning, however, Mr Buttigieg took aim at the mess - which he said included vomit and urine - left behind, and said the St Patrick’s Day parties should be moved out of St Julian’s. The streets were almost entirely clear and open again to traffic by 7am. Photos: Cleansing Department.